Telecom SudParis, established in 1979 as the Institut national des télécommunications (INT), is a Grande École which belongs to the Institut Mines-Télécom (IMT) Group. As a "Grande Ecole", it trains tomorrow’s elite engineers and managers in the field of digital sciences and technology. "Our ambition is to train women and men of all origins, builders of the digital society, and contribute to its construction through teaching and research excellence, sources of innovation and economic and social value. 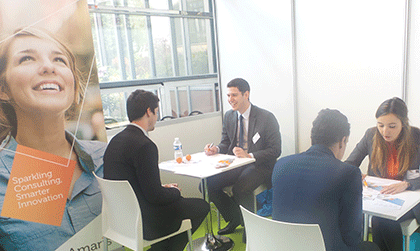 Telecom SudParis is a specialist in a field of study that is booming. 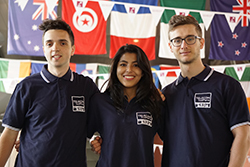 Currently we study cellular networks, big data, cloud, ultra-high-speed internet and digital development policies - all areas in which we have proven research expertise"
Along with 10 other Graduate schools, 2 universities, and 7 research institutions, Telecom SudParis is a founding member of the Université Paris-Saclay. 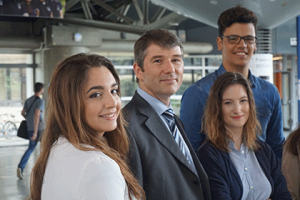 Telecom SudParis offers a wide range of training opportunities through its programs and partnerships in fields ranging from applied mathematics to networks and information systems, including electronics, image processing and multimedia. Thanks to our diversified training-program and 30 years of experience in the field, our school has established a strong and justified image of excellence among recruiters in industry. Our graduate engineers are sought after by companies in all sectors of activity and particularly in digital science and technology sector. Our strong ties with many industrial partners have largely contributed to this reputation. Collaboration with companies enables us to stay up-to-date with the needs and expectations of the business world which are taken into consideration when reforming our courses, curriculum and the educational process. Telecom SudParis operates globally with over 147 partnership agreements with institutions of higher education in 52 countries. Telecom SudParis is a founding member of the Université Paris-Saclay, destined to be the largest scientific and technological campus in Europe, with 9 other grandes écoles, 2 universities and 7 research organizations. Telecom SudParis supports more than 15 business start-ups a year. Its incubator, IMT Starter, was among the first created in France. It launched the second largest Entrepreneurship Competition in France, the Digital Start-up Trophy, to identify and support start-up companies in the Ile-de-France region. 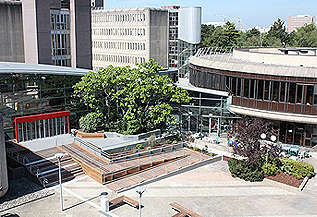 Telecom SudParis and Institut Mines-Télécom Business School share the same campus located just south of Paris. 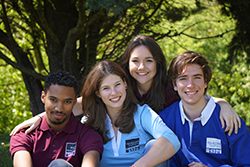 The synergy between the two schools is unique in France, providing rich, multidisciplinary opportunities for teaching, research and innovation and a distinctive professional skill set for the graduates of both schools. On 29th December 2014, the French government created the "Université Paris-Saclay", and approved its statutes. The new, scientific, cultural and professional, public institution includes seven research organizations (CNRS, CEA, IHES, INRA, INRIA, ONERA, and INSERM), and 12 higher education and research institutions (Agro Paris-Tech, ECAM, HEC, X, ENS Cachan, ENSTAParis Tech, Supélec, GENES, IMT (Telecom ParisTech and Telecom SudParis), IOGS) with 2 universities Paris Sud and Versailles - Saint-Quentin-en-Yvelines. 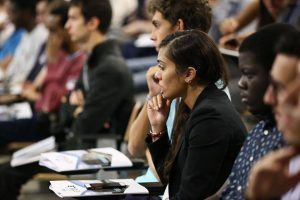 Members of the Université Paris-Saclay both preserve their individual identity and their means, and agree to coordinate a shared set of actions for which they pool some of their resources. The objective is to create an internationally recognized campus of excellence in education, research and innovation aiming to rank among the top 10 worldwide. Telecom SudParis is a publically operated graduate engineering school which has been constantly building its reputation for its graduates who position themselves as leaders in digital technologies as well as other professional sectors, taking full advantage of new opportunities offered by the labor market.